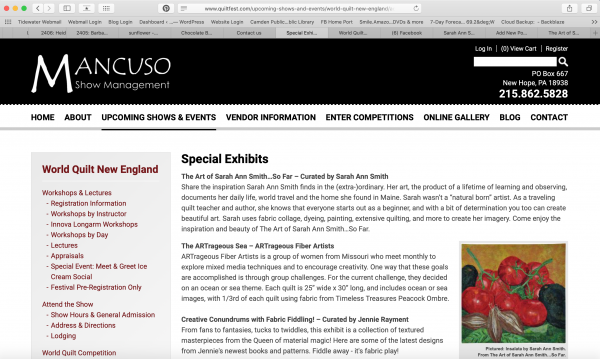 I’m thrilled to share that I will have a solo exhibit of my work, The Art of Sarah Ann Smith … so far, at the Mancuso Quilt show, World Quilt New England, from August 15 to 17, 2019, in Springfield, Massachusetts! Now that it is listed here on their special exhibits page, it is official! Most of the quilts on display will be those that were in my Rising Stars exhibit in Houston in Fall 2017, except those that are sold or are in a touring exhibit. This exhibit will also have at least one or two new works (to be determined). 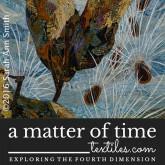 I’m pleased that I will be able to help hang the exhibit. I may be able to stay over night or come down on the 17th to be at the exhibit and give gallery tours. Stay tuned for more info as we approach August. If you’d like a sneak peek, you can check it out in my book of the same name, The Art of Sarah Ann Smith … so far on Blurb. The book is available as a hard copy or PDF. 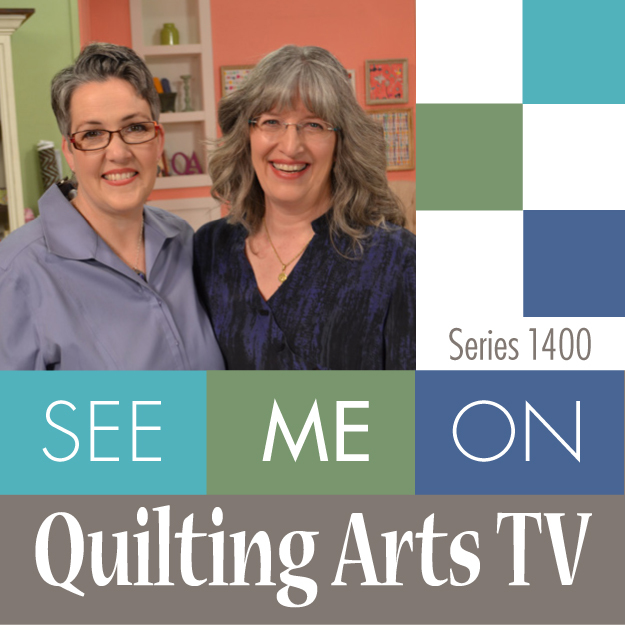 I hope you’ll get to see my quilts and that I might even get to meet some of you at the show! 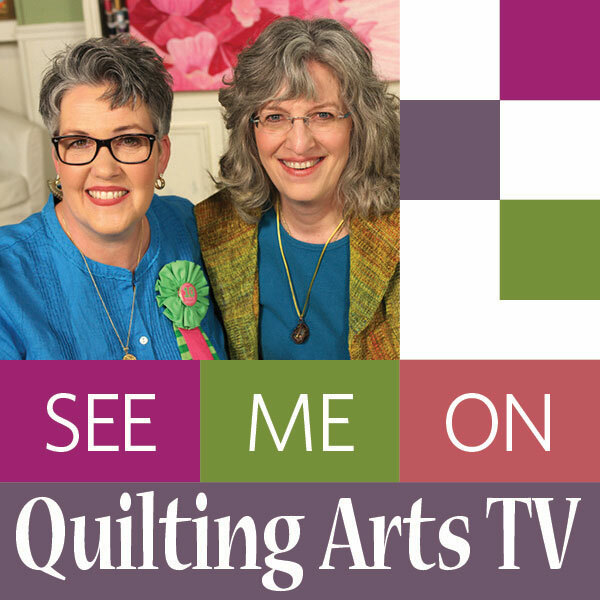 This entry was posted on Monday, March 18th, 2019 at 12:59 pm	and is filed under Art, art quilting, Exhibiting, Maine, Professional quilting, Quilt Shows. You can follow any responses to this entry through the RSS 2.0 feed. You can leave a response, or trackback from your own site. Wow… so fun… and accomplishment! Congratulations!